Dundee face St Johnstone in their next Ladbrokes Premiership game and here we round up everything you need to know ahead of the match. FIXTURE: St Johnstone v Dundee. Aged 12 and under – free of charge when accompanied by adult/over 65. 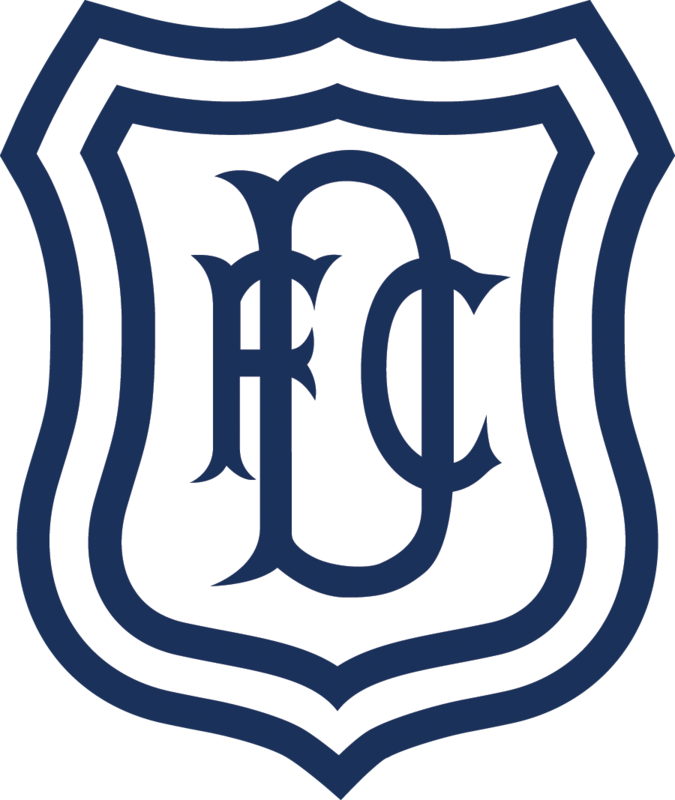 Disabled supporters will need to purchase tickets from the Ticket Office at the Kilmac Stadium at Dens Park. On approach to Perth take the Stirling/Glasgow/Crianlarich/Inverness slip road (Jct 10), this links up with the M90. Follow signs for Inverness (A9), second left at Broxden roundabout. 1 mile down by-pass, proceed to the Inveralmond roundabout and double back towards Dundee exiting the motorway at the Stadium slip road which takes you directly into the “Away” car park. McDiarmid Park can be reached by bus services mostly leaving the city centre from Mill Street (next to the cinema). Services number 1, 2, 13 and 15 all travel along the Crieff road, stopping either directly outside Tesco, or across the road from the stadium. Perth Bus Station is situated on Leonard Street, which is approximately 3 miles away from McDiarmid Park. The easiest way to reach the park from the station is by taxi. Perth Railway Station is also situated on Leonard Street which is some distance from the stadium – the best part of a 45 minute walk (uphill!). A taxi drive will take ten minutes and cost around £10. A short walk from the train or bus stations will take you to the city centre where there is a major bus interchange in Mill Street. 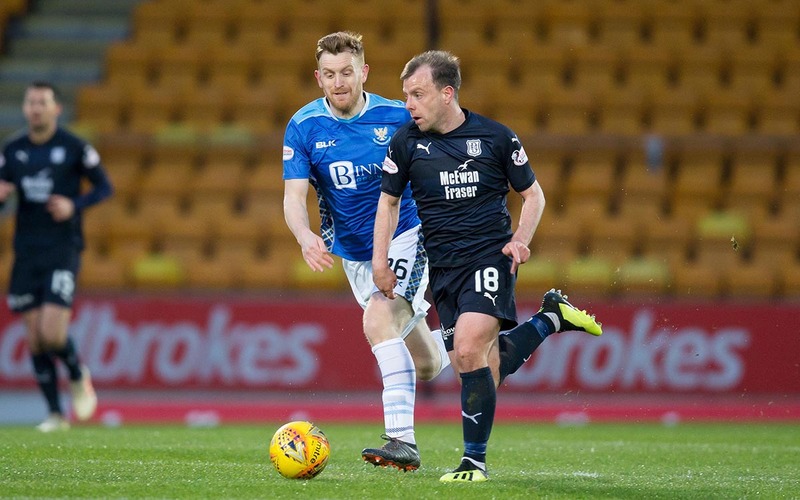 Dundee remained at the foot of the Premiership after going down to a 2-0 defeat in Perth in the penultimate game before the split. Callum Hendry put St Johnstone ahead in the first half and Matty Kennedy made the points secure for Saints just before the hour. There should have been more goals in an open game, and the Dark Blues missed two great chances, but the home side were well worth their win. Goals: Hendry (16’), Kennedy (59’). 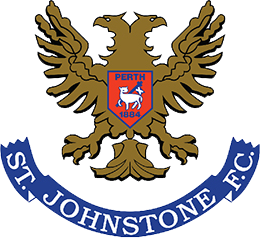 St Johnstone’s season had an inauspicious start with a 0-0 draw with East Fife at McDiarmid Park in the Betfred Cup but they won the bonus point in the penalty shoot-out. It didn’t stop The Saints from winning their section however as they followed that up with two 1-0 wins against Montrose and Falkirk and in their final game beat Forfar 3-1 at Station Park. After defeating Queen of the South 4-1 after extra time in the second round, The Saints exited the League Cup in the quarters when they lost 1-0 at home to Celtic. Saints’ Premiership campaign had a tough start away at Kilmarnock and two goals in the last half hour was enough to keep the points at Rugby Park but they got off the mark in their first home game in a 1-1 draw with Hibs. After winning maximum points against Dundee and Hamilton, St Johnstone lost 5-1 to Rangers, 2-1 to Hearts and 6-0 to Celtic but then embarked on a terrific eight game unbeaten run. Victories over Motherwell, St Mirren, Livingston, Hibs, Hamilton and Aberdeen were done with no goals conceded and the run ended in December with 2-1 loss to Motherwell at McDiarmid. After the winter break Saints knocked Hamilton out the Scottish 2-0 in Perth but like the League Cup succumbed to Celtic, this time bowing out 5-0 in Glasgow. In the Premiership they returned to action with a 1-0 win over Livingston but subsequent losses to Hearts, Celtic, Hamilton, Aberdeen, Hibs Livi, Motherwell and Kilmarnock alongside just a point in a draw at Ibrox and a win over Dundee put paid to the Saintees top six ambitions. Fans in the UK can sign up to DeeTV for a monthly fee of £5.99 or an annual fee of £59.99 which will give them access to live audio of most Ladbrokes Premiership games, full match replays and highlights, behind the scenes content and exclusive interviews. The full ninety minutes of the match will be available to every subscriber of DeeTV on Saturday night while a shorter highlights package will be available on Sunday alongside exclusive post match interviews with the manager and players.